Oh, Poems, No Less. Poems, Everybody! So I have released my infrequently threatened/promised collection of poems. 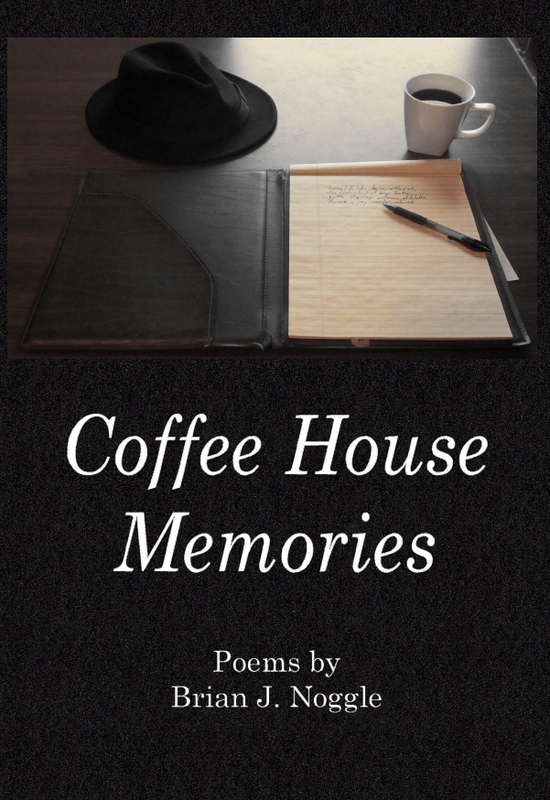 Entitled Coffee House Memories, it contains just short of 100 poems that I wrote mostly in my college and immediately post-college life. I spent a lot of evenings at coffee houses and their attendant open mic nights. Man, I wrote a lot of sonnets, and some of them are pretty good, I still think. But some of them are a little, erm, saucy? Not bawdy, but they’re clearly about making love. So this, like John Donnelly’s Gold, is not something my children can take to school for show and tell. It’s funny; I used to perform said poems in coffee houses in front of dozens of people, but it’s been a while. I’m pretty sure I’d feel like a creepy old man reading one of them out loud now. And/or I’d blush furiously. But I’m convinced they’re good poems, so they’re in the collection. Not included: “Springfield Panera Bread BDU”, although I did include a number of other haiku. And pantoum or two. And a couple villanelles, I thing. I did write a couple bits of free verse, but I always favored more structured forms, like the sonnet. The book includes two chapbooks I released in the middle 1990s, Unrequited and Deep Blue Shadows. The latter is named for a poem inspired a bit by a song by the band Lillian Axe. It might be the only poem inspired by anything by Lillian Axe. In my defense, the book also features three poems inspired by “One Day I Wrote Her Name Upon the Strand” by Edmund Spenser. So clearly, my influences are varied. At any rate, it’s available for Kindle now for 99 cents, and hopefully will be available in paperback in a week or so. So if you’ve got a buck and a Kindle, grab one now. In related news, I guess I still have four or five ISBNs left, so perhaps I should write something else. 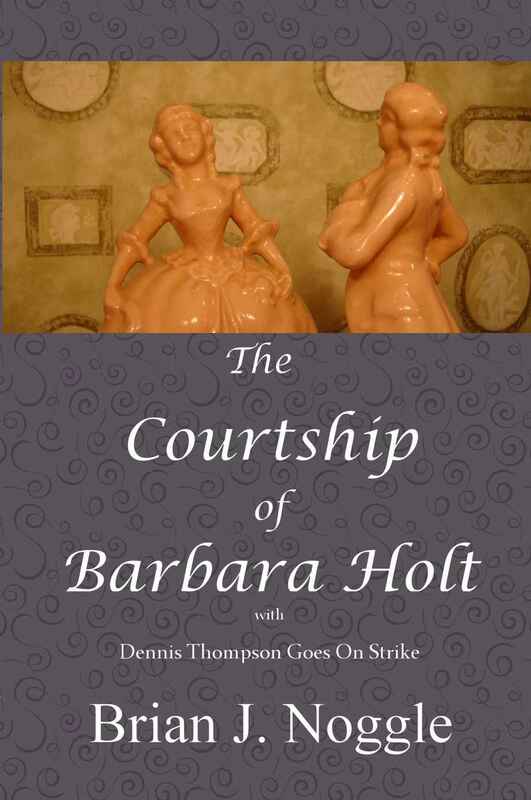 My play The Courtship of Barbara Holt has gotten its first review on Amazon. Charles Hill liked it. You might, too. At $.99, that’s less than a quarter per star. Wotta deal! The newest ST & QA Magazine features an article by yours truly entitled “When Users Collide”. Bloggish format here. Some registration required. When you shorten 2012 to just ’12, use an apostrophe. That versatile punctuation mark (a robust one being correctly used is pictured at left) fills in for the missing numbers, just like it fills in for missing letters in a contraction. Use it for decades, too! It can do it all, and here’s an example: Don’t forget that the ’80s was the height of fashion and music. The problem with a lot of software is the dreaded “smart quotes.” When you type a phrase such as “the ’80s,” you automatically get an opening quotation mark in front of that 8, not the correct apostrophe. Here at the P-D, you hit alt+shift+right bracket or hunt through a panel of special characters to get an apostrophe before the 8. In Microsoft Word, you press CTRL+Z (shortcut for undo) after typing a quotation mark or apostrophe to turn it from a smart quote back into a straight quote. Additionally, you can cut and paste smart quotes and they won’t reorient themselves, so you can copy a smart apostrophe from within a contraction or possessive, for example, and paste it before your abbreviated year. “Set the Load Testing Tool to Ramming Speed” in the March 2012 The Testing Planet. ($6.99 Kindle download). They’re not paying gigs, but they’re seeing my name in print. Or PDF files. I have a college degree in English, specifically in writing-intensive English, but my classes covered topics such as learning how enjambment makes the poem, how authentic speech mouthed by authentic characters in authentic situations makes the fiction, and how complex sentences with many clauses and many conjunctions makes your writing dense, deep, important, and self-indulgent. Professors focused on the romantic visions of writing as organic growth, something done in Parisian or Nuyorican coffee shops in the afternoon. Mark Dever, English major, has trouble talking to women. It’s worse than being speechless: When Mark is interested, he speaks in blank verse, like some Shakespearean courtier. When he meets Barbara Holt, his inadvertent poetry goes into overdrive. But Barbara is not interested in some wishy-washy English major, unlike her friend Jenn, who is an English major herself. Can his friends help Mark woo Barbara successfully and, more importantly, woo Jenn? Dennis Thompson has had enough. All his life, some nameless author has been writing the book that is Dennis’s life, and Dennis has decided that he’s not going to play along any more. If The Author says, “Jump!”, Dennis is going to say, “No.” It’s like Six Characters in Search of an Author, but with a twist. They’re definitely the summation of all the things I thought were awesomely funny 20 years ago, and they still crack me up. The book is available for Kindle now at the low, low price of 99 cents. I hope it looks all right; as you know, I don’t have a Kindle proper, and I had to rely on the Kindle for PC reader and the online Amazon Kindle emulator to see how it laid out, and in the process I found bugs in both Microsoft Word and the online Amazon emulator which led to a lot of frustration and hours upon hours of trying to lay it out properly (a play is different from a novel in that its layout is more complicated and depends upon more than a couple page breaks here and there). So if you see something egregiously wrong with it, let me know. The book form is working its way through the channels (my proofreading and parlaying with the POD solution), so it might be available on Lulu in a couple of days and on Amazon.com by the New Year. It will be $6.99 for the paperback edition with the handsome cover I designed aw by mysewf. You know, I wrote my first short story when I was in elementary school. Entitled “Willie the Great,” it told the story of a handicapped kid who learned magic and put on a show. I wrote it in my grandmother’s trailer on a visit to Missouri from Wisconsin. My talented cousin Jack was doodling on some scratch paper my grandmother had, and I needed to compete. So my first short story was composed on the back of some yellow heavy paper with a fancy letterhead on the front, and I got to read it to my grandmother, mother, and maybe an aunt or two. I made my first submission in the eighth grade, a story about my dog written in the first person perspective, that I sent to McCall’s because 1.) my mother had a subscription and 2.) I saw they published a short story each issue. It was rejected–or ignored–but I submitted bad short stories throughout high school and college to myriad magazines. I was going to be a writer. I did some time as a technical writer, cranked out a novel that’s not half bad, and have blogged more or less continuously for 8 years, but my ultimate output has really declined to a couple real essays or articles a year and a couple of stunted attempts at short stories–after writing fiction mostly through school, suddenly I find fiction hard. I’ve even had pretty good luck actually placing work with consumer magazines you could pick up on the news stand and in trade journals that don’t pay money. But now I’m at an age where I’m no longer eligible to be a young writer success story and am too ossified to dream myself in a Manhattan apartment mingling with other denizens of the slicks (and I’ve outgrown that dream anyway). There are some days that I write for 16 straight hours, knowing that everything I just typed will be deleted and replaced with a completely different idea, or rejected outright. That, my friends, is a writer. Me, I’m a dilettante, living the rest of my life and sometimes dabbling in wordcraft. I need to determine if that’s what I want to be, or if I want to dedicate a little more time and energy to the real writer thing. Maybe apply some, I dunno, discipline to it and write for sure every day on something that’s not a 200 word or less blog piece. I’m coming to a point in my life where more time will be available. I just need to commit to using it. Marko Kloos has his first first fiction sale. I remember that first check I received for a short story. It was 1995, and I got a $5 personal check from the editor of the Kinko’sed literary magazine Show and Tell. It’s easy to remember since it’s the only fiction I’ve sold. I mean, aside from the stray copy of John Donnelly’s Gold here and there. The whole world is hankering for faster Internet access. Then there’s novelist Adam Langer, who does his writing in the low-tech Hungarian Pastry Shop in Morningside Heights. Langer isn’t alone. The Hungarian Pastry Shop’s wall of framed book covers, each by authors who typed amid the cafe’s din, is testimony to the growing appeal of Internet-free spaces. Gone are the days when a café with good enough coffee, a lax policy on lingering and an open Wi-Fi signal made it the perfect spot for writers to work. With infinite temptations just a mouse click away, many writers are seeking out an increasingly scarce amenity in a wired city: disconnected workspaces. Frankly, the problem is one of self-discipline. Of course, as the pot, I call the kettle black, but just because I lack self-discipline does not mean I cannot recognize the same in others. Actually, I have just started toting the laptop to the Bread Co. (which these strange people call “Panera Bread”) now that I have the youngest in a little school program that takes him for 2.3333 (repeating) hours a day, two days a week. Given that I live 20-30 minutes away from the school, it doesn’t make sense for me to come home, so some logic I used to trick my wife compels me to stop there to drink cappuccino, eat pastry, and tap out some words. You might have noticed some longer pieces appearing here every now and again. That’s why. I don’t need to look for a place that offers me no wi-fi. I just don’t connect to the network. I have my laptop set to not connect to any wireless network it finds automatically. Ergo, it will tell me the Panera Bread wireless network is klaxoning its SSID at a frequency that only alarums my laptop, but I dismiss the button and then get to clacking at the keyboard. All right, it’s not so much self-discipline as it is a touch of low risk threshold. I don’t trust wireless networks I don’t control. So I wouldn’t touch it anyway. Also, note I sit with my back to the wall in the coffee shop. Okay, that’s less paranoia and more the realization that it reduces the glare on the screen from overhead lights. But some people who conduct their business on the laptops in the Bread Co. exasperate me. In full view of everyone, they’re typing away on corporate documents and then they go for a refill without password protecting their machine. I had the brief urge to change the Facebook status of a local here on Thursday, someone whose name is at the tip of my fingers because he’s the sales rep for a memorable company and he participates in the local group on LinkedIn. But I digress. So far, the change of scenery and the compressed time frame has really focused my effort. I open a couple things in tabs on my Web browser before I leave since I will want to just read while I chomp on a cheese pastry and as an eyebreak from writing. Then, I have two pieces in mind I want to work on: a blog post of some sort and an essay/article. I can flip between the writing things and the dwindling number of browser tabs for about an hour and forty-five minutes. This week, I’ve dropped about 1600 words each day on two blog posts and an article (about blogging). 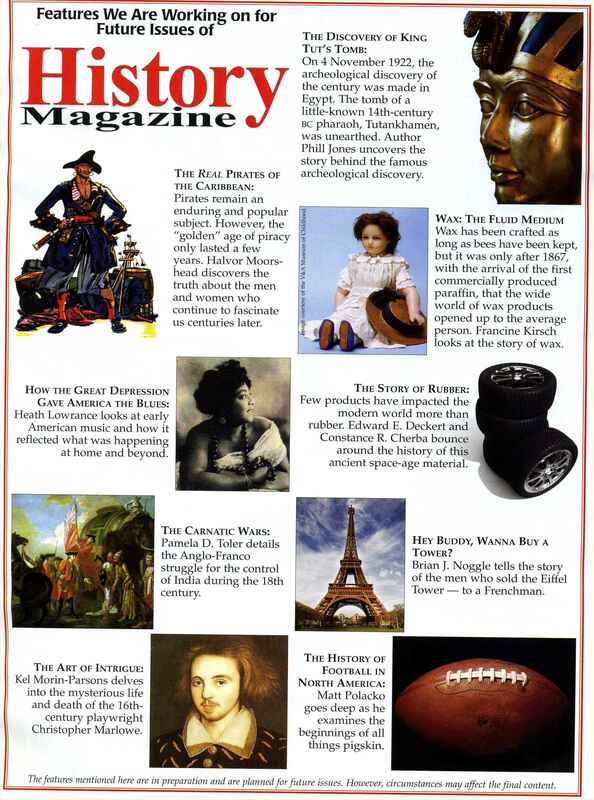 A couple weeks ago, I tapped out an article about software testing that I’ve already placed with a British magazine. I reminded that same magazine that it was holding onto another piece I submitted a year ago, and bam! Suddenly, I have two forthcoming publications. This writing thing seems so easy sometimes. When I’m disciplined, which means when I am in an area with wi-fi that I don’t trust. And, more importantly, a time and a place where I’m focused on writing. Author’s note: For a long time, this essay was lost to the ages. Somehow, I lost it from the directories and folders that I migrated from PC to PC, from application to application, in the last decade and some. However, I was noodling around and found an old directory from my America Online Web page ca 1998 and found it in Web HTML form. Just so you know, except for the occasional lost item, I’m also a digital pack rat: somewhere, I have the raw hard drive copy of my old 286 and 486 hard drives as well as a couple of others. Not the hard drives. Copies of them. In case I forgot to properly migrate data. I use four-letter words far too often. After all, I have an English degree from a respected private Midwestern university (Marquette, in Milwaukee, Wisconsin). I should have a collection of words to choose from that will convey a proper nuance for my varied daily experiences. Yet, when a crisis moment strikes, a flashpoint of frustration or sudden stress triggers a certain misnomered acronym to explode fricatively from my lips. A piece of pop culture verbal regurgitation gurgles out. But, as suddenly as it comes, it is gone, along with a small serving of stress that brought it on. As I mentioned in a comment previously, I have written a short play that toys with the concept of the Fourth Wall. The piece is entitled Dennis Thompson Goes On Strike. When it’s sunny, I feel the urge to live deliberately, like Thoreau, but with dachshunds instead of ants. When the clouds and drizzle come, I instead feel the urge to write about shoggoths shambling about in pet semetaries. Strangely, my most productive writing period meshes with the time I spent amongst my hearty northern clan, before I moved amongst the luxurious and decadent southern tribes and became soft. Robert Davies tried to log onto FuckedCompany.com, and he could not, and he knew he was fucked. The chair squeaked as he leaned back. He double-checked the URL in the browser’s address bar; it was correct. He pursed his lips and typed the URL again. Again, Microsoft Internet Explorer showed him its regular, unhelpful, the-page-cannot-be-displayed screen. It suggested he might want to check his browser settings. Robert typed in www.nTropics.com, the address of the Web servers sitting in the large, bomb-shelter safe room in the basement. His company’s site popped up, with its neo-Aztec cursive logo and gold bar icon. He typed Instapundit.com, and the popular blog loaded. His Internet connection was indeed active. But when he tried to get to FuckedCompany.com again, the same. The first time was an accident, the second time coincidence, and the third time, one of his college professors said, was a pattern. This was the other shoe, and the axe was going to fall. He wanted to be sure, so he went looking for Daryl. Daryl was the company guru. Whenever a new employee at nTropics.com needed some help with his or her workstation, that person went to the two network administrators in the unlit office that probably was a supply closet before nTropics took over the building. Those who had more than six months’ experience, few as they seemed to be, would go to the same guy the certs-from-a-book weenies did: Daryl Simon. So Robert made his way up a half flight of stairs into the Customer Support Room. Daryl studied his computer screen. His visibility, and the high level of background noise imposed by fourteen other technical service reps all in open cubes, didn’t bother him. When Robert got close enough, he saw Daryl was reading some system board review, dazzled and probably slightly intoxicated by the speed of the front side bus and the RAID capabilities. “Ahem,” Robert mentioned after standing for a moment at the edge of the half wall, just over Daryl’s shoulder and conveniently noticeable for anyone, probably, but Daryl. “What’s up, Robert?” Daryl said. “What’s up, guys?” Kevin Horton appeared and asked. “Robert can’t get to Fucked Company, so we’re all fired.” Daryl tapped on his keyword. “What’s Fucked Company?” Kevin said. “The Dot-Com Deadpool,” Robert said. “As long as you’re not on it,” Robert said. “If you can’t get to the Web site, why don’t you just can the net admins, Robert? Why do we all have to pay for their incompetence?” Kevin rubbed his cheek with the arm he was leaning on. Elbow up, he looked foolish instead of nonchalant, Robert thought, but Robert’s idea of nonchalance tended to parade rest. Hands behind the back in a non-threatening way. Kevin liked to repose like that, in his Dockers and collared shirts, dressed in business casual to rank him somewhere above the casual information technology rabble. He probably stuffed a sock down his trousers, too. I don’t like that answer, either. I’m giving up. There’s no telling how long it would take me to find a snippet that I Write Like would tell me the answer I am looking for (Ernest Hemingway). But if my writing style varies that widely from one page to the next, I don’t question myself: I question I Write Like. Many times, I go all When in the course of human events when I should be like Sometimes. I didn’t make the cover, but it’s on page 47. Trust me. Seriously. Any time I’m published in a magazine you can get in your local Barnes and Noble, I’m thrilled. I would prefer to get jaded, though. As if this wasn’t encouraging enough. Whenever I meet someone, one of the questions that always comes up is “What are you going to college for?”, usually right after I say “Yes, I go to Marquette University”. I usually respond with “Eleven grand a year,” but I am really going to college to get my Writing Intensive Bachelor Degree. I would have been a Writing Intensive Bachelor without the help of Marquette University, but I would not have had so much fun doing it. After I explain to these newly met people that I am a writer, the proceed to give me what they think is encouraging advice. The advice is always the same, “Hang in there. Don’t give up. Have something to fall back on”. Thank you very much, but that advice is generic for any occupation. When people get specific about it, they always tell me that it takes a long time to break into the writing business. Well, no, I’d like to point out (but I am too polite to) that Tom Clancy and John Grisham “broke” into the biz. The rest of us, or at least I, have to worm our way in. I, on the other hand, am a practicing struggling writer, and I decided that if everyone else is giving advice, I might as well jump on the bandwagon. To help out with all you struggling writers out there, I have compiled a list of things you’ll need. Strunk and White, ages of English classes, and last month’s Writers’ Digest can give you all the technical details. You’ll need more than words to make it as a struggling writer in today’s competitive market, and here’s what you’ll need. When I started, I wanted to put down “Talent,” since that is pretty important to make it as a writer, but it’s not actually necessary when you start your jaunt as struggling writer. You can pretty much start with “The Idea You Have Talent” because your writing will get better as you write, so if you think you have talent, you will write more, and it is a self-fulfilling prophesy. Then I thought of some cheap fantasy fiction and pulp detective stories. Some of the stuff I have read has been so bad that I don’t think the writer could have thought they had talent. All they could be running on was self-confidence and the dollar signs they must have been seeing, so to succeed as a writer you just need the idea that it can be done, and not much else, but if you do have talent, so much the better. When I told a professor my freshman year of college that I was going to be a writer, he asked me if I had written anything. At that point I had written innumerable bad poems, a few bad short stories, and most of a bad-but-hopefully-salvageable novel. I almost laughed, but you never laugh at a full Jesuit or a full Doctor, so I merely said “Yes, sir”. Since he asked the question, I can only assume he had run across people who were going to be writers who hadn’t written anything, but that’s what they were–people who were going to be writers. You’re not qualified to be an official Struggling Writer unless you’ve written something–and don’t give me that old “Writer’s Block” excuse. That’s like saying you’re on the disabled list without ever having picking up a baseball. So if you haven’t written anything, you might as well not read on. I mean a lot of stamps. What they say is true, you should receive quite a few of rejections before you get published anywhere. If you don’t, well, I don’t want to talk to you any more. I must have gotten your share of rejections, too. And at four stamps on the envelope to the magazine, four for the SASE (for short stories and articles mailed flat), that works out to $2.32 per submission. It’s more than a lottery ticket, and this should illustrate that you do need the idea you’ll succeed (if you want to get lucky, go to Vegas) and a lot of stamps. And, as you receive a lot of rejections, it might hurt. You might wonder as you stare at your ceiling as the shadows of the tree outside your window dances in the wind because you can’t sleep why you bother going on when all you get are a few compliments from your friends who are probably lying anyway and form letters that were probably written by the same insensitive clod with Rejection Forms Incorporated from every magazine you ever submit to and you might be tempted to give it all up and get into a respectable and lucrative racket like flipping burgers at the local McDonalds, or maybe that’s just me. Keep a stiff upper lip, though. It just takes a while, and once you’re in somewhere, it’ll get easier. Or so they tell me. Keep trying, and if you want a bit of my personal technique, try a dash of arrogance. Remember that that poor overpaid pencil-pushing mousy looking illiterate moron of an editor wouldn’t know a good piece if it was shot through his or her window with a flaming arrow. It’s an immature response beacuse deep down I’d like to project the failure onto the poor editor rather than the quality of my writing. If you can rationalize it, use it. It works for me. By no means confuse this with a REAL job. I realize that being able to support yourself without writing takes much of the authenticity out of the poverty-stricken living-on-the-streets romantic image of the struggling writer, but if you can almost pay the bills, it’s easier on the stomach lining. Besides, the real world experience you gain will give you ideas for stories and characters, essays and articles, and you will have the expertise to carry it off. The things I have learned as a produce clerk will be invaluable when I start my great novel featuring tomatoes and overripe watermelons as main characters. A sense of humor is helpful in any profession, and it is completely necessary for a writer. Not only will you be able to laugh heartily at lawsuits (“I plagiarized WHAT? I slandered WHOM?”), but you will also look at old things in new ways and give you endless material. Plus, Reader’s Digest pays $300 for short anecdotes, and you don’t have to write them well, and if you’re shifty enough, you don’t even have to live them–just don’t tell them I told you so. A sense of humor keeps me going–I have a collection of my rejection slips that I have kept, and I take pride in showing them off to friends. No, wait, that isn’t a sense of humor, that’s masochism. Maybe I should have added “A Sense of Masochism”. Well, there you have the official Brian J. Noggle method to becoming a struggling writer. To become a good writer or a published writer is something else entirely, and I’d give you advice on either of the above subjects if I had experience with them. Heck, if you find a good list or magic potion that will give you either of those two powers, give me a copy or mix me up a batch. I was walking down Commonwealth towards Berkeley with a spring in my step. I was wearing my nice clothes, the slacks with no holes in them, and a white shirt with a string tie, and my hair was combed. I had things to do. The day after tomorrow was Megan’s birthday, and I had seventeen dollars in my pocket. The weeks of working at Mr. Roy’s grocery store had paid off, and I knew just what I was going to get Megan. When I had been walking her home last Wednesday, we had walked past the jewelry shop in the Park Square Building. She stopped to look inside, like all girls do. She asked me what kind of ring I was going to get her when we got married. I didn’t know, and I don’t even know if we’re going to get married. But she likes to think so. After she looked at the rings in the bottom of the window, she looked up at another glass case, and ooohed at a brooch. I didn’t think it was anything special, but I’m a guy. It was gold and silver, and there was a big M in the middle. It was cursive writing and fancy, and Megan liked it a lot. I wondered how much she would like it when she saw it in a box in her hands the day after tomorrow. “I’ve been busy,” I said without stopping. I didn’t want to stop. Sid might find out I have money, and if he did, it’d probably get spent on pool or whiskey, neither of which would do Megan any good the day after tomorrow. Sid called out after me as I walked past, and as I turned the corner he shouted again. I hoped he wouldn’t be too mad at me, but I had things to do. I imagined how Megan would look opening the box, how the brooch would look on her favorite red sweater, how her friends in school would like it, too. “Yes sir,” I replied. He stopped in front of me, and I had to stop, too. “I’m going to my girlfriend’s house, sir,” I said. It was just habit not to tell the truth to him. He cast a disbelieving eye over me, but nodded and continued on his way. He turned the corner and I could hear faint notes on the wind as he started to whistle. It ended abruptly, and I heard his booming voice questioning some other innocent person. And then I was at the Park Square Building, outside the jewelry store. I fingered the rolled money in my pocket and went in. A bell jingled and a man appeared from another room. “May I help you?” he asked. It was warmer inside and it smelled nice. There were glass cases with all kinds of necklaces and things, but I looked at the case in the window. I could see the back of the brooch. I could very plainly see the little white sticker with the number 21.00 written on it. I felt my stomach drop and my throat got tight. “I, ah, want to see something in that case,” I said. “Come around,” he said, waving his hand around the display in front of it. He pulled a big ring of keys from his pocket and unlocked the display. Then the bell over the door jingled, and Sid Leary and the Dunston Boys came in. “Look at that,” Sid said, pointing at one of the rings in another case. The jeweller stepped around the glass case. “Can I help you boys?” he asked coldly. The case was open, and the brooch was hanging on velvet. I snuck a glance at the jeweller. He was watching the Dunston Boys and paying no attention to me. I could just reach in and take it. It was just like the sham we would pull in Wheeler’s drug store. One guy would go in and look around and then the rest would be rowdy and while old man Wheeler was throwing them out, the first guy would be loading his pockets. He’d then buy something cheap and split. It was usually good for a few packs of cigarettes and gum. It was my turn to be the pigeon. Megan wouldn’t like something that was stolen. Some of the girls didn’t care, but Megan wouldn’t wear it if she knew it was stolen. She’d probably get mad at me too. “If you’re not buying anything, you should go somewhere else,” the jeweller said, and I thought he was talking to me. I turned and he was pushing the last of the Dunston Boys out the door. Reggie appeared in the window and made faces at the jeweller, but then Sid called and Reggie disappeared from sight. “Now what was it that you were looking at?” the jeweller asked after brushing his hands together. “Well, sir, this brooch,” I said softly. “The lacework is silver. The letter is inlaid with gold. It’d make a fine gift,” he said. “It costs twenty-one dollars?” I asked. I breathed again. “Thank you, sir,” I said. He took the brooch from the velvet and punched numbers in the cash register. It chinged and the number seventeen appeared in the windows on the top. I pulled out my two five dollar bills and seven ones. He put the brooch in a little white box and gave it to me. “No, thank you, sir,” I said, and I took the box in both hands and left. Megan was going to be so happy. I opened the box as I walked. The gold and silver didn’t look as good against the cotton as they had against the black velvet. Megan was going to love it. Sid and the Dunston boys were standing on the corner of Commonwealth waiting for me. “What’d you get, Kevin?” Sid asked, uncrossing his arms and standing up from the lamp post he had been leaning on. “Nothing.” I walked wide around the group. “Buzz off, Sid,” I said, shaking my arm out of his hands. I hurried up, and the Dunston boys stood, staring at me from the corner. Sid called my name again, but I ignored it. I went home and spent most of the night looking at the brooch and thinking of Megan. Megan smiled when I held the box out. “You remembered,” she said with fake surprise. She opened the top and gasped. “Oh, Kevin,” she said softly. Her green eyes looked at me. I thought she was going to cry. “It’s beautiful,” she whispered. I stopped. “Sure,” I said, swallowing. I put her books down on the sidewalk and took the brooch. I unfastened it and tried to hide my trembling hands. I put it on the right side, right over her heart. I didn’t stick her, either. “Wait till Judy sees this,” she said after we started walking again. “Thank you, Kevin,” she said when we got to the fence around her high school. She kissed me lightly and went in. I watched her walk proudly into the building. Halfway up the steps, her friends Judy and Sandy met her. She gestured at the brooch and pointed at me. They smiled and looked wistfully at me. I felt good. I got home from Mr. Roy’s store at eight thirty. My father and mother were screaming at each other in their bedroom. My little sister was in the living room and the radio was turned up to try and cover their disagreement. She ignored me as I came in, and I went up to my bedroom to change clothes. I got my tie off and the top button on my shirt open when Catherine called me from the living room. Megan was pacing on the front porch. I closed the door behind me. “Hi,” I said. She turned, eyes blazing. “Don’t ‘hi’ me, Kevin,” she said. She was still wearing the red sweater, but the brooch wasn’t on it. “Where did you get this brooch?” She stuck it in front of me like it was a cross and I was a vampire. I didn’t want another girl, it wasn’t like that at all, I did buy the brooch, but none of these words came out. She looked at me for a moment as I stood there with my mouth half open. She then threw the brooch onto the porch and ran down the steps and into the night. The big cursive M glared at me. I picked it up, and wondered what I’d do now. I went inside, drank a couple glasses of water, and went into my bedroom. Girls are crazy anyway, I thought.